Almost a month since the ‘no’ came from the UK to Europe, the most immediate response in consequences on the economy was the low level of the pound. The time passed since the referendum has inspired one to envision various possible economic scenarios, especially in the field of food and wine, in which the UK has a primary role as a buyer. Following the referendum, it has opened a horizon of difficult questions for the future. The question is how Brexit will affect the economy? The truth is that it is difficult and complicated to try to provide an answer, although we can highlight some keys to try approach the question. 1. Lowering of the purchase power of the British people. If there is a factor that may affect the current export of wine, we are at the lowest concerning consumption capacity of the English as a result from a weak pound. If this trend is maintained in the future, it could ultimately affect the export of wine to the UK. 2. More depreciation of the pound against the dollar than against the euro. According to information published by the Spanish Observatory Wine Market (OEMV), the pound has depreciated more against the dollar than against the euro, so in this sense, could affect the Americans wine industry more than the European wine industry. And this, a priori, could be positive for the Spanish and European market. 3. Free trade Tradition and raw material shortages. It is unlikely that the United Kingdom decides to impose new tariffs on European products because of its need for raw materials and its pro-free trade political tradition. Thus, given the circumstances, these two factors could facilitate exchange agreements. 4. The time needed for negocación of new trade relations. As pointed out in the article Brexit for wine lovers, published on Jancisrobinson.com, renegotiating agreements with the United Kingdom as a third country could take up to a decade, considering that within two years it will be necessary to determine the legal precepts from the United Kingdom. Therefore, a span this long could ultimately affect exports. 5. A healthy economy in Spanish wine exports. Despite the uncertainty, the current situation regarding Spanish wine exports to the UK is good, especially in terms of value. Thus, while the future is unclear, the Spanish market is in a good position, which can help offset possible negative effects. In this sense, according to figures OEMV 2015, Spain exported to the UK a total 159.3 million liters of wine worth 343 million euros, representing an increase of 0.1% in terms of volume and 0.5% in terms of value. In fact, over the past 20 years, the average annual growth was 3.3% in volume and 4.9% in value. 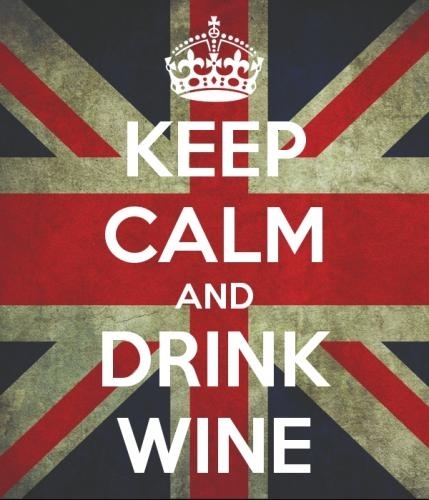 We can say, therefore, that the UK is buying Spanish wine, and does so with a growing trend of wines with O.D. 6. Competitive advantage in the price of Spanish wine. Although France, Italy, and Portugal top the list of wine suppliers to the UK, the fact is that the prices of Spanish wines are more competitive than those of other countries, a factor that undoubtedly plays a role for them. By contrast, wine of Burgundy which has been more costly since 2012 and that due to the adverse conditions of the current crop, could do even more- it would be most affected by the loss of purchase power of the English population. The consequences of Brexit, however, may not only affect exports, but also domestic business and exports from the United Kingdom. 7. Boost for English wine. For example, according to the analysis of Brexit for Wine lovers, producers of English wine could benefit from a hypothetical increase in the price of European wine, as they could position itself as a cheaper alternative for British consumers. Due to the fact of having more attractive prices, English wines could also gain a better position in the international market. 8. Loss of advantageous agreements for other industries. Although we have spoken mainly of wine, we can not forget that there is another large industry that could be affected in the medium and long term: namely the whiskey industry. According to the specialized portal The Drinks Business in late June, the Scotch Whisky Association, they conceive the single European market as “a key to the success of Scotch” and for giants like Diageo and Pernod Ricard which voted to stay, the industry has substantially benefited from free trade agreements with South Korea, Vietnam, and Colombia. It is unclear, therefore, what will be the situation of the industry following the departure from the EU. To conclude, if anything is clear, is that with so much at stake, decisions that will be taken at a high level will not be easy. The coming months will be decisive for the future, but the view must be set already and change is coming. Future scenarios, although not catastrophic, still represent a challenge for the wine- and spirit sector.